Reinforced radial tyre patches can be used to repair tread area and sidewall punctures on all types of radial tyre. Tyre repair instructions and application charts are included in every pack, but local regulations should always be considered when repairing road going tyres. 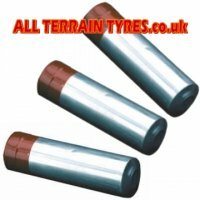 Suitable for car, van, 4x4, truck, tractor and industrial tyres. 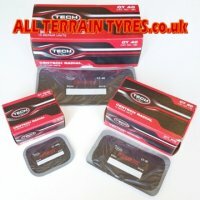 Manufactured by Tech Tire Repairs and Rema Tip-Top, the worlds leading brands of tyre repair materials.